Are you the owner or manager of an apartment building? If so, then you know that there are many areas of the building that are quite likely to need regular cleaning, which is not something that the maintenance crew is likely to handle. They deal with some of the bigger problems that might be facing the building or the units, but they do not take care of the cleaning. Therefore, you will want to make sure you hire an apartment building cleaning company in Edmonton that can keep your building looking great while staying on budget. 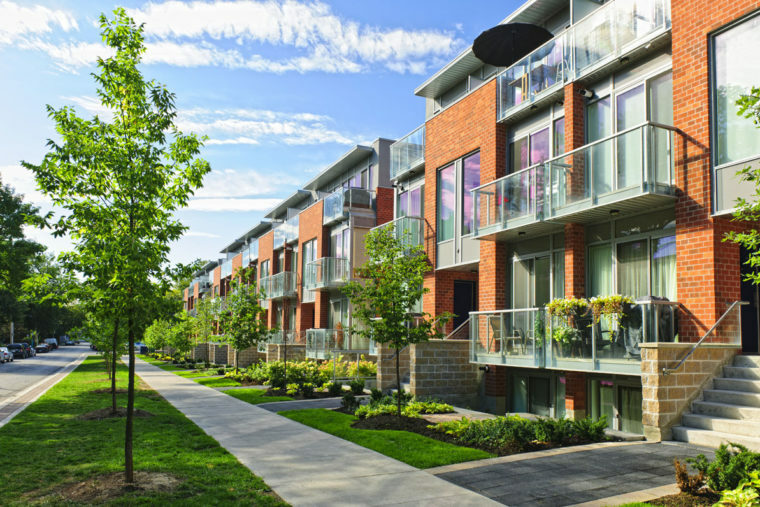 When you are getting ready to hire a company to keep the apartment building clean, you need to consider just what areas of the building are going to need cleaning and what types of services will be needed. Different types of buildings will naturally have different needs, so it is a good idea to make a list now and write down all of the locations that will need cleaning. Consider the various common areas around the building. This could include the lobby, naturally. However, it could also include game rooms, the gym area, hallways and walkways, and the area around the pool. Even though you already have a pool cleaner come out to service the pool regularly, they are not responsible for keeping the area around the pool clean. You will want to make sure that a cleaning company can take care of this for you. You might also need to have the laundry room cleaned, along with the manager’s office. There are many potential areas for the cleaning companies to work in depending on the apartment building. Even after you have made your list, you will still want to walk around with a representative from the company and make note of any other areas that they notice that might need cleaning, as well. You want to be as thorough as possible. Will You Use the Company for Turnovers? One of the other things you will want to think about is whether you will use the apartment building cleaning company for turnovers at the complex, and whether they offer this service. A turnover occurs whenever one of the tenants moves out of the building. Even if the apartment is in good shape, it is going to need to be cleaned thoroughly before the next tenants can live in the home. Some managers and building owners will have other services that they can rely on for taking care of their turnover, but you may want to check to see if the building cleaning company you are considering offers the turnover service. In addition to making certain they can provide the types of services you need for your apartment building cleaning requirements, you also want to make sure that you are dealing with a company that can be trusted to get the job done right. They should have a good reputation in the field, and they should be capable of providing high-quality cleaning that utilizes the latest equipment and technology. You also want to be sure that the employees they have working at the company are trustworthy and trained to take on the types of services you need. In addition, you might also want to consider checking out a company that can offer eco-friendly services. 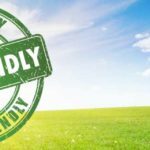 Many businesses today, including apartment buildings, are looking for more ways that they can go green and be friendlier to the environment. Of course, you also do need to think about the price. Always check to see just how much it will cost you for the types of services you need. Keep in mind that most times, the cost is going to be based on the number of times it needs to be cleaned and the square footage. A great cleaning company like Red Door Cleaning can work for apartment buildings of all sizes, from large buildings with hundreds of units all the way down to a small building that has just a couple of apartments. Always make sure you take the time to find a company that can take care of all of the various types of services you need, do a good job, and charge a reasonable rate. Contact Red Door Cleaning in Edmonton for your apartment building cleaning. 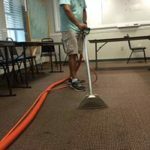 How Often Should a Business Steam Clean Their Carpets?